This assumes a single-level residential water loss (Class 2 | Cat 1). DriHeat performance drying equipment was exclusively employed. 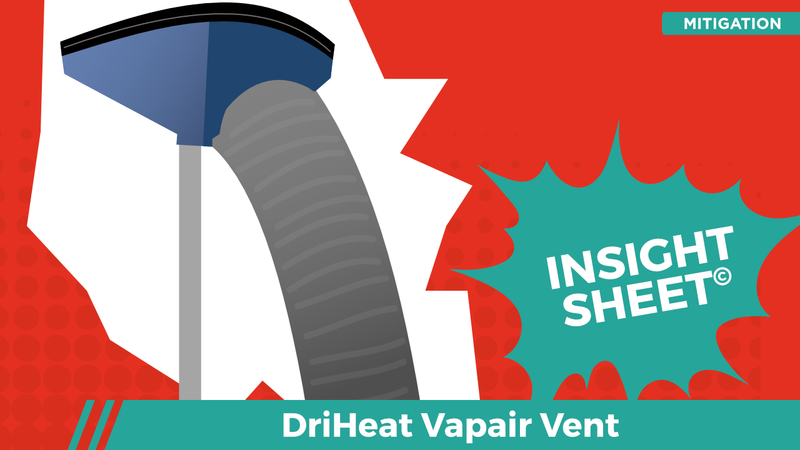 This DriHeat VapairVent is intended to function as an ad-hoc dehu and it is often flanked by a Radial 8 or Elite 52k. We chose to support it with a Radial 8 for this Insight Sheet. In order to function as intended, the VapairVent requires a thermal air mover to infuse heat into the affected building material so said building material will release the moisture into the air and then the warm moist air will be subsequently pumped out by the VapairVent. 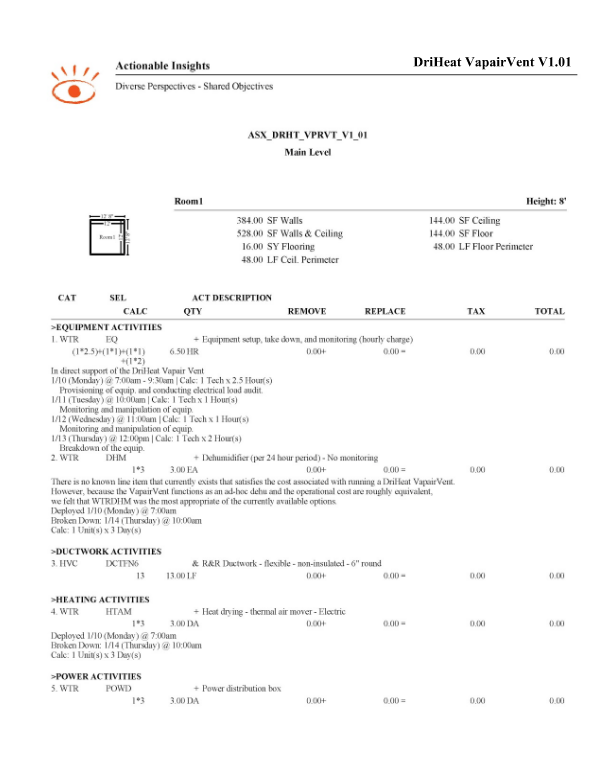 This Insight Sheet exists to clarify how one might invoice for a DriHeat VapairVent. This does not seek to include or make concessions for all equipment and/or activities as it relates to a loss of this nature.